Climate change is having a serious impact on our daily lives. Unfortunately, things are only expected to get worse as high-profile politicians continue to bury their heads in the sand. The good news is that market forces are helping deal with the problem, in spite of the limited support from Congress or the White House. 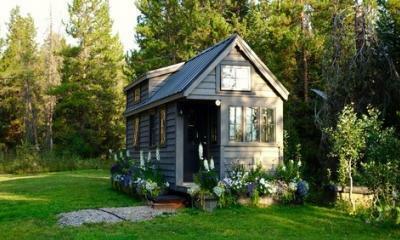 Building an eco-friendly home is a perfect example. 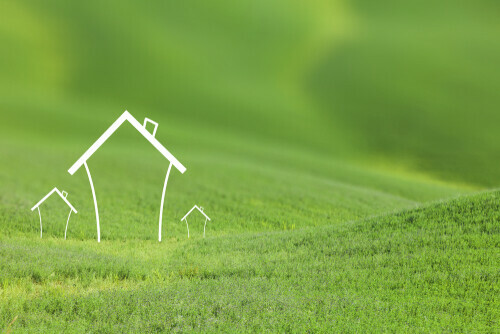 In fact, eco-friendly housing is more important than ever before. Besides the obvious environmental benefits, building or retrofitting a sustainable home can also significantly cut utility costs and improve our quality of life. According to one analysis, homeowners that use Energy Star products can cut their utility bills by up to $400 a year. We decided to put the spotlight on the three major areas you should be looking at if you want to seriously consider joining the army of eco-friendly activists buying more sustainable homes. Start small and work your way up. Starting at the bottom by replacing ugly and wasteful wall radiators with more elegant and economical underfloor heating. This is a great start and you will be surprised by how much your heating bills may drop. This process is obviously a lot easier to implement in newly built homes, but it can be fitted in older houses too. 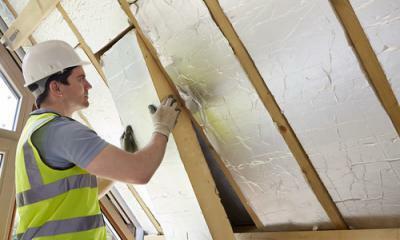 Attic insulation is another obvious change more of us should be making. We all know that heat rises, but few of us seem willing to take the first steps. Cavity walls can also be insulated easily and at minimal cost. Interior decoration is another area that you should focus on when you are interested in living a more sustainable life. House Beautiful Magazine has a number of ideas that you can check out. When you are looking for green furniture options to decorate the interior of your home, try to stick to furniture that’s been made from recycled materials and only use water-based paints. Making sure that all single-glazed windows are replaced with double-glazed windows and that all of your seals are air-tight will also help, as will making sure your windows are wood-framed. Wood acts as a greater insulator than UPVC, so you can shrink your energy bill considerably by making this small change. This is the part that seems most obvious. Unfortunately, it is also the trickiest. 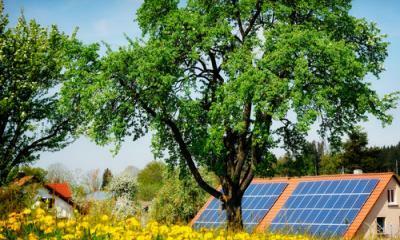 Many people think that they are buying technology that is going to make their home more green. Sadly, a lot of supposedly green technology doesn’t really do all that much to help cut your energy bill or environmental footprint. Solar panels are the most obvious thing to invest in. While they were once seen as an expensive oddity, there are numerous solar incentives in place now. A surprising number of companies are offering affordable payment schemes to make solar panels more accessible to the average homeowner. The money you’ll save in the long-run and the significant reduction in environmental impact are more than worth the minor inconvenience caused by the switchover. In many cases, your home won’t need to be rewired, but if it does, you should be able to take care of the job yourself with a pair of cable strippers (RS offer a good range of options) if you want to save a few bucks. Investing in a smart meter, meanwhile, will allow you to keep track of your energy expenditure 24/7. Even whilst you’re away from home, a modern smart meter will allow you to control the heating in your home via a companion app. So, if you forget to turn the heating off before you leave, simply bring up the app and tap a few buttons. The meter will take care of the rest itself. Finally, energy-saving lightbulbs are more cost-effective now than they ever have been. Insulation: As far as attic insulation is concerned, the initial cost of around $1,700 and will almost certainly be recouped within about three years. Solar Panels: Installing solar panels on a typical, 3-bedroom home in the US will set a family back around $11,500 after tax credits and will save you on average around $1,400 a year. Remember, however, that you’ll need a south-facing roof in order to make the most of them. Smart Meter: Depending on your utility plan, smart meters can be completely free! Make sure you shop around and ask your current provider. 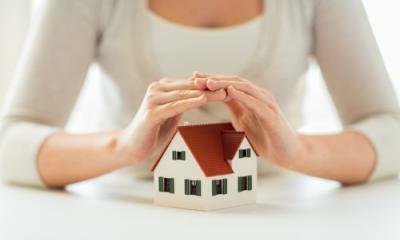 Do you intend to purchase an eco-friendly home? There are a number of improvements that you may need to make to actually reduce your impact on the environment and cut costs. Fortunately, these ideas will help. You’re one step closer to making a more positive impact on the environment with your living space.